Adulterous wife sheds tears of repentance in humbleness as she gathers words from her guilty heart and breath from her lungs to jesus and says “i’m sorry”.. There are SO many vain/worldly ‘counselors’ of the devil who are actually LIARS that work for their father the devil to DESTROY hearts, souls, and lives of MANY who give DESTRUCFIVE counsels such as ” how to talk to your child about your remariage (while your first covenant spouse is still alive)” or “how to get your child to accept your divorce chouce that u made to throw away your husband out of pride, selfishness, and unforgiveness and a hardened heart not caring ONE bit about how ur child and spouse feel”..and those who love the lusts of their own wicked heart will run to teachers that will give them ear itching messages that will provide them a temporary false comfort/peace as they HAPPILY remain in their sins as long as it makes them ‘happy’, DOESNT matter how destructive the SELFISH choices & decisions they make are to their childrens’ hearts, minds, and souls and whole entire LIVES. I understand how a bitter root grows within a child’s heart who was only seeking the pure selfless and sincere love, care, and attention that their hearts need from their parents. Your children NEED your time with them, they NEED to be asked how they feel and to be heard out and listened to wholeheartedly by you. If you are a parent then Jesus’ heart is CRYING OUT to you to STOP being selfish, REPENT, and humble urself before him and ur children. They NEED you. Many parents will be looking at God’s standard of mariage and how to build a family on his heart as they feel so condemned and they will be sooo angry and shout at him “but i DO love my kids!! U have NO right to judge me! !” As Jesus looks them right in the eye and says with as a look of sincere love and care but deep seriousness and concern as he says ” Look at me, no you DON’T love ur children as u claim. If you loved them you will keeo my commandnemts and look out for their BEST interest first rather than ur own selfish heart and happiness in this fleeting world. This world is fleeting but if u do my will and teach ur children to do my will you will live and unless u repent if your sins you will die in them and perish”. 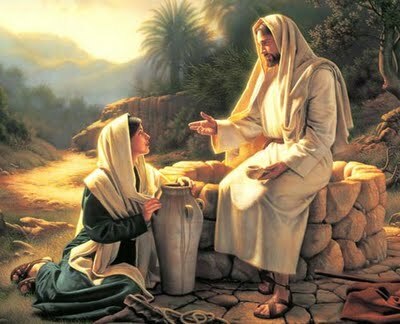 Jesus HATES when children get lied to by their parents about a family member that died by telling them “they are in heaven” or “they are in a better place now” just to give them a false comfort/peace and to hide the truth from them rather than actually TELLING them the truth IN love and comforting their hearts by saying something like “honey your dad is in a lifetime that will never end now and its not like this life that is temporary, but it depends whether or not he is with Jesus right now on did he repent and cry to him with a sorry heart in repentance and humbleness in this life before he died or not. BUT either way KNOW that Jesus cares for your heart very much and he hurts for your pain so much too, you can Talk to him about your heart and how you feel at allll times and he will comfort you with his heart. He wants u to know that its perfectly NORMAL and OKAY to cry all you need and i can do the same too because our hearts need to heal from pain and tears will help us do that if we go to Jesus with all our hearr and he will always be there for us, he is a real person with feelings too and he understands pain perfectly because he hurts too. He loves you SO much.” *hug* ..because that child will KNOW if you didn’t give them all the answers and they will in most cases remember how their family member has sinned/lived in sin and it wont line up with their pure little heart/conscience and they will grow to become so angry and bitter out of confusion that lies have caused them and they WILL try and find the truth on their own even if you dont tell them because jesus is their conscience protecting and warning them from lies and whats wrong but when a heart gets so confused and compelled they just tend to give up out of frustration and become angry and bitter at the world, others, and God..all because of ONE lie!! it’s PERFECTLY okay to weep and mourn together with your children if you have lost a loved one and Jesus wants u to know that its perfectly fine and IMPORTANT to teach ur children NOT to hold and bottle their feelings in as the world/satan teaches but rather to CRY and ve always honest and real with jesus, you, themselves, and others at all times in all things because thats how a heart begins to heal. Hiding and bottling up feelings and questions and things inside never help a heart but rather it only makes them grow in anger and bitterness and end up in sooo much damage and pain and destruction for all hearts i cant put into words quite how horrible that is. You can start healing in your family by teaching ur children that its IMPORTANT to be honest even when they feel anger and bitterness in their hearts and that you care and you will listen and help and so can jesus in the first place but be there for their hearts and tears too and dont be discouraged or embarassed to cry in front of them because belive me it can humble thrm and help them heal in ways that are far from what you can think and most importantly you will help them be encouraged to cry and to pour out their hearts at all times to jesus and to u by you first setting that example to them. Tears dont show weakness, they show the courage and honesty and humbleness a heart is putting forth to BECOME strengthrned through God but that cannot happen unlesd you start pouring out your heart and tears to him and teaching others to do the same too. What is the REAL/TRUE meaning of selfless LOVE?